Why not have a Zorgvliet Wedding? Zorgvliet Wine Estate can be the perfect venue for you, if you want to add a touch of magic and style to your big day. Nestled in the Banghoek Valley near Stellenbosch, you will be amazed at the breathtakingly spectacular views of the Simonsberg Mountains and vineyards and your wedding pictures will afford you absolutely classic memories. We have a charming little chapel (which was built in 1732) on our premises that can accommodate your guests. It has an elegant look and feel, with its stained glass windows and wooden pews. The chapel can accommodate 120 people. 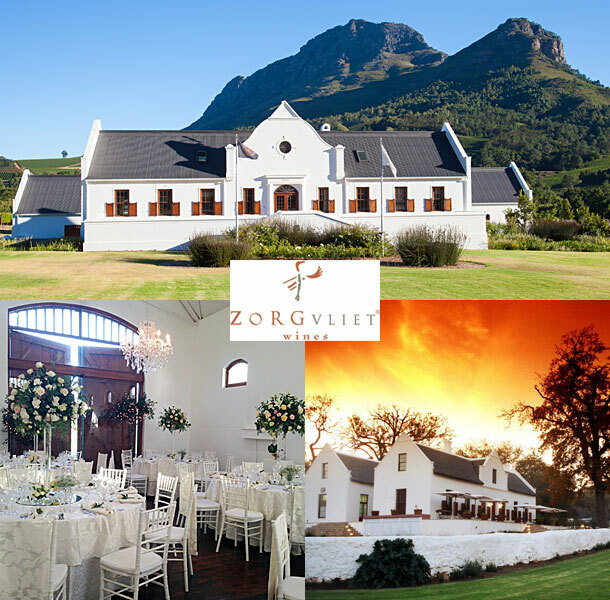 Zorgvliet Wine Estate offers a variety of options; we have a very elegant wedding venue (The Oak Room) for your reception and a chapel for you ceremony. We also have our country lodge’s lounge area (The Banhoek Room) that can be used for pre-drinks. For the guests who would like to stay over we have a country lodge on the premises walking distance from the venue. For pre or post wedding activities your guests can enjoy our wonderful picnic and deli area during the summer months. We also have a cellar that you can tour by appointment or visit our wine tasting area and savor the taste of Zorgvliet. 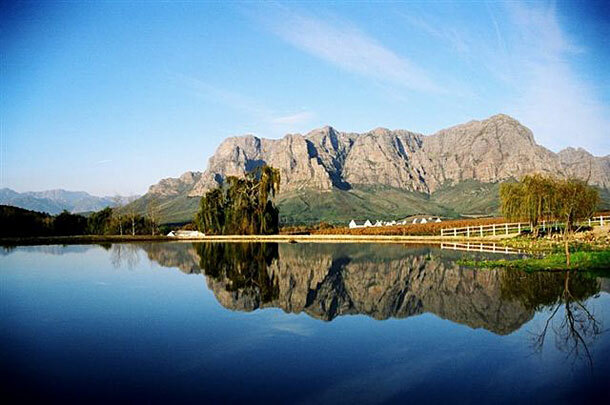 To book this magnificent venue visit Zorgvliet Wines Country Lodge in Stellenbosch.